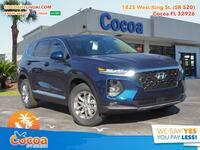 For the 2019 model year, the Hyundai Santa Fe adopted a completely new aesthetic as it entered its fourth generation since initially being introduced back in the year 2000. 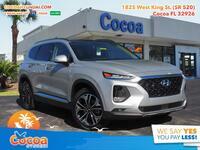 With a much bolder design than ever before, the new version of the crossover promises to continue turning heads far into the future, perhaps even more than it currently it does. 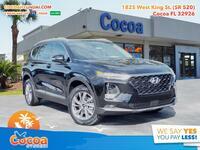 We thought we’d dive into a few of the updates and changes, to show you exactly what you’ll be getting with a 2019 Hyundai Santa Fe in Cocoa FL. One important thing to note is that the Santa Fe Sport nameplate is no more starting in the 2019 model year. 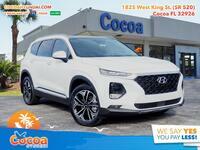 The regular Santa Fe name will be taking over the Santa Fe Sport model’s spot without holding onto the extra name, while the old Santa Fe model gets absorbed into something new. 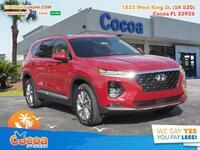 If that doesn’t make sense, picture this: the Santa Fe Sport is gone, and the Santa Fe is now a compact crossover. 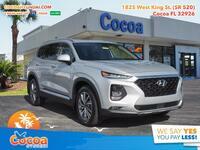 In addition to the new nomenclature and design cues, there are several great new features throughout the 2019 Santa Fe. It will feature a brand-new, 8-speed automatic transmission allowing for even smoother transitions between gears, a new Infinity stereo system that features 12-speakers and an 11-channel amp to crisp sound, plus a host of new safety features that promise to deliver a better sense of confidence and to keep you and your passengers safer than ever before. Other improvements include increased visibility thanks to a larger daylight opening, greater space for both passengers and cargo throughout the cabin, and much, much more. There will even be a diesel option introduced later, featuring a 2.2L turbodiesel engine deliver the perfect blend of efficiency and power. 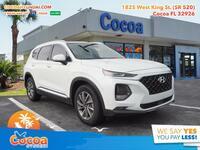 If you’re interested in learning more about the 2019 Hyundai Santa Fe, don’t hesitate to get in touch with us right here at Cocoa Hyundai.